If you need professional air-conditioning services in Florida, contact ACA Air Conditioning today. Our staff can deliver an honest diagnosis of any type of HVAC equipment. When you need central air installation or extensive AC service for your home, we can deliver the best entrusted services as a fully insured and licensed company in Florida. You can trust our technicians to diagnose any problem whether it’s with a residential HVAC system, AC system or commercial AC system. Our staff has 27 years of experience in the industry and as a result we can be extremely confident in our ability to repair as well as diagnose a wide range of AC issues. We guarantee our work and we want to make sure that we exceed every customer’s expectations. 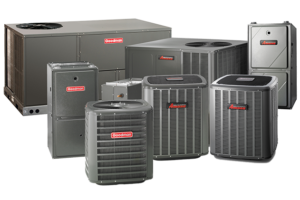 As a group of dedicated central air repair and air conditioning repair service specialists, we want to deliver the most efficient services possible. With every service call we will attempt to be at your door within 24 hours. We can even provide emergency AC service calls after 8 PM so that you can ensure your climate control can be up and running even in a tough spot. Our fully licensed air-conditioning repair service specialists are each registered and extremely well-trained. Our staff members are regularly training with brand new seminars and courses to ensure that we are up-to-date on all of the latest technology in central air and AC servicing. Each one of our service trucks also comes completely stocked with all of the right tools necessary for heating and AC repairs on a wide range of AC and heat pump units. We want to make sure that we can minimize the length of service calls by carrying the right tools and the right parts for any type of repair on major brand AC units. In most cases we will not have to make special arrangements to order parts in order to complete your repair. Diagnosis for repair is included with every single service visit fee. We are affordable and competitive. We will get your approval for the cost of repair, installation or replacement before performing any type of labor on site. Each one of our heating and A/C repair specialist is paid by the hour and there is no commission structure for up selling with our air-conditioning services. Our technicians will never try to influence you towards a specific brand unless a particular AC unit would work more efficiently in your situation. We are trusted contractors within Palm Beach and Broward Counties and we want to make sure that we can be a service the citizens in South Florida you can truly count on. Each one of our air-conditioning installers take extensive pride in their job. We want to make sure that we can install the best in technology within your home or your business. We will describe the entire process of installation and where the various lines will be placed on your property. We want to make sure that you will be completely satisfied with the installation before we carry out any type of work. We make any type of adjustment necessary without taking any shortcuts to ensure that the job is done right. We guarantee all of our installations extensively with a number of AC units that come with lengthy manufacturer warranties as well as our own guarantees! Call us today for all your AC, Heating and Heat Pump needs! © ACA Air Conditioning. All Rights Reserved. Website Created and Maintained by Imagine Media & Marketing.